It may someday do work that's impossible for humans. 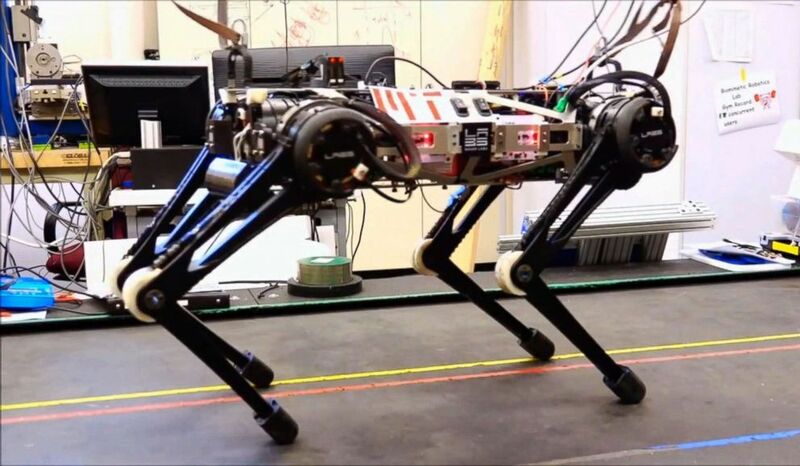 The “blind” Cheetah 3 robot can climb stairs, jump on a desk and shove, thanks to new algorithms developed by researchers at the Massachusetts Institute of Technology (MIT). Cheetah 3 has been designed to do many things in a challenging environment, designer Sangbae Kim, an associate professor of mechanical engineering at MIT, said, according to the university’s news office. 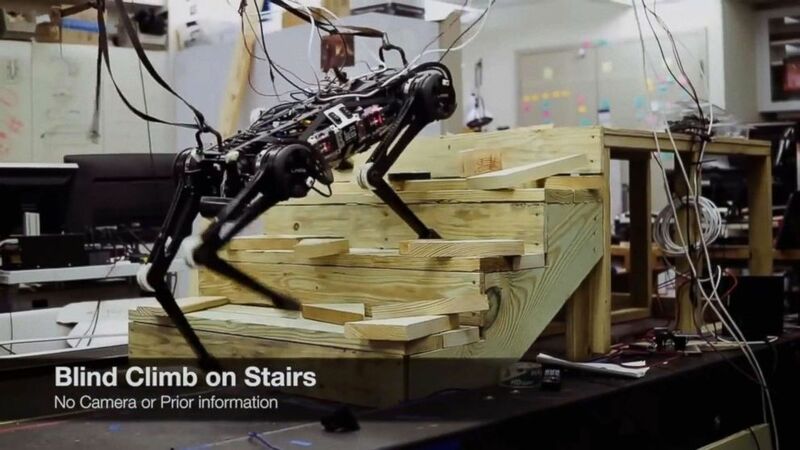 (MIT) "Blind" Cheetah 3 robot ,which is designed by Sangbae Kim of MIT, climbs up the stair and litters July, 2018. 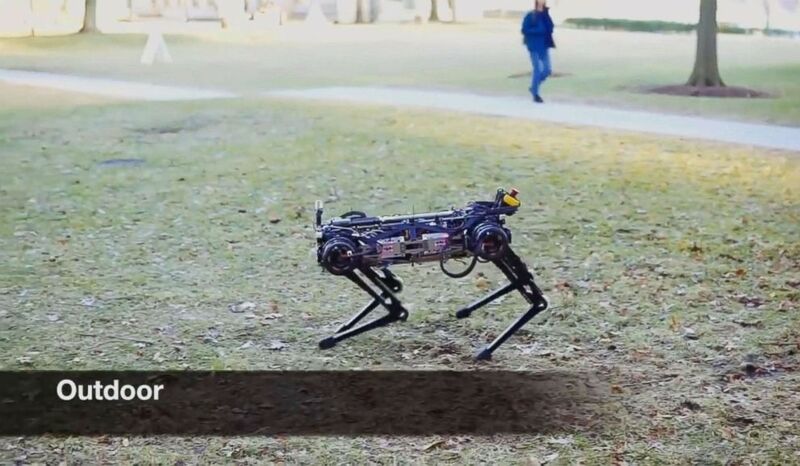 (MIT) "Blind" Cheetah 3 robot, which is designed by Sangbae Kim of MIT, is to be used in challenging environment July, 2018. Kim did not immediately respond to ABC News’ request for comment. The video, which lasts more than two minutes and is published on the MIT website, shows different examples of physical activity Cheetah 3 can accomplish. At one point it shows the robot climbing up the stairs, jumping onto a desk, running, shoving and slow-trotting. It can also act like a real cheetah. Kim hopes that blind locomotion Cheetah 3 can cope with some work that’s impossible for humans to do, and researchers will present the robot’s vision-free capabilities at the International Conference on Intelligent Robots, in Madrid in October. The blind locomotion can stretch backward and forward, and twist from side to side, much like a cat limbering up to pounce, MIT News reported. “Cheetah 3 is designed to do versatile tasks such as power plant inspection, which involves various terrain conditions including stairs, curbs, and obstacles on the ground,” according to the office.